Law as or against justice for all? Bridging a gap between the theoretical and the empirical reflections of justice and fairness, where 'empirical' encompasses data on the discursive construction of justice in Europe, institutionalization of justice in laws, subjective experiences of (in)justice in various social domains (media, education, politics and daily life experiences) and on (non-)institutional struggles for justice. 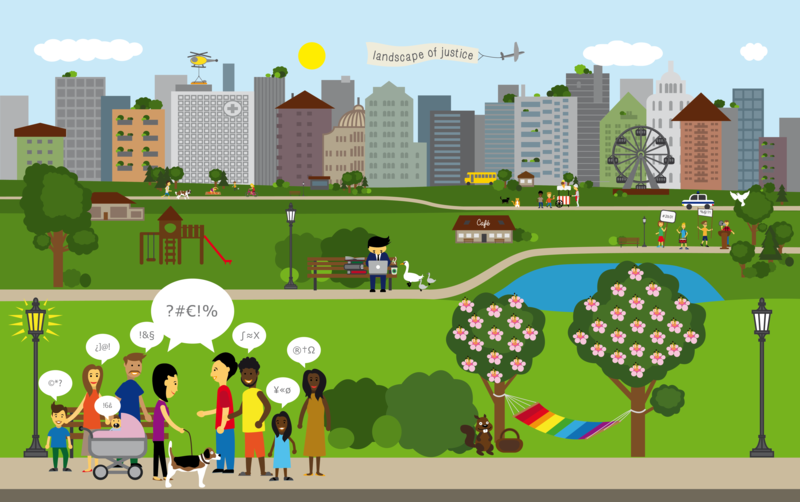 By accommodating multiple voices of vulnerable populations via communicative tools, workshops, focus group meetings, policy briefs, and the interactive European Landscapes of Justice. 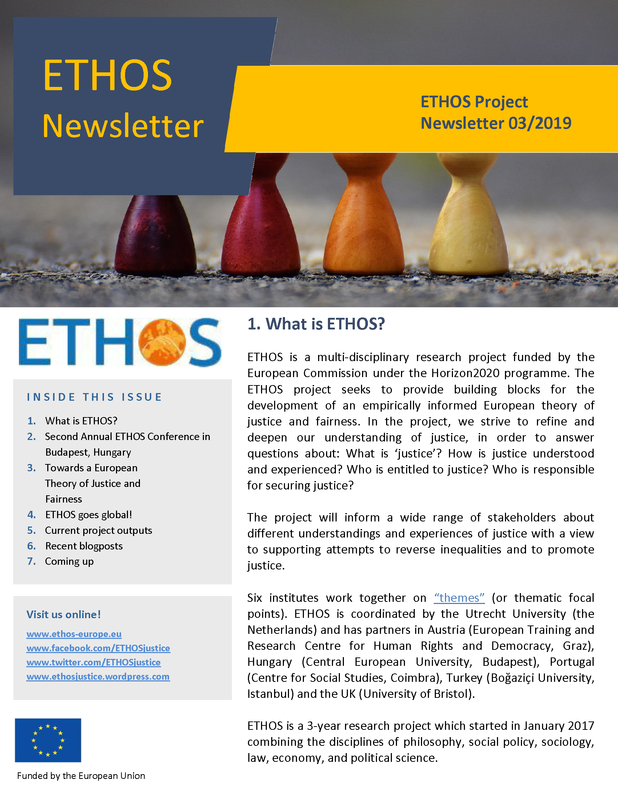 ETHOS will reach a deliberative process of attuning seemingly antagonistic voices in a harmonious concert, reflecting the mutual understanding of a European theory of justice and fairness. In ETHOS six Research Institutions cooperate: Utrecht University (UU, Utrecht, The Netherlands, coordinator), Europäisches Trainings und Forschungszentrum für Menschenrechte und Demokratie (ETC, Graz, Austria), Kozep-Europai Egyetem (CEU, Budapest, Hungary), Centro de Estudos Sociais (CES, Coimbra, Portugal), Boğaziçi University (BU, Istanbul, Turkey) and the University of Bristol (UoB, Bristol, United Kingdom). Copyright 2017 Ethos. All rights reserverd.